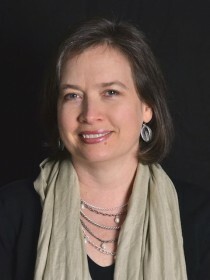 Stefanie Dickinson is Associate Professor of Music Theory at the University of Central Arkansas. She holds degrees in piano performance from the University of Georgia (BM) and Auburn University (MM) and in music theory from Northwestern University (MM) and the Eastman School of Music (PhD). Her primary areas of research include the music of Liszt’s late experimental period, issues in analysis and performance, and music theory pedagogy. She has presented her work at regional and national meetings of the Society for Music Theory and the College Music Society, at the Dutch—Flemish Society for Music Theory, The First National Symposium of Musical Analytics in Shanghai, the 12th Biennial International Conference on Nineteenth-Century Music, the International Conference on Music and Gesture, and other professional meetings in the US, Costa Rica, Hungary, Thailand, Korea, UK, and Argentina. Her articles can be found in GAMUT, College Music Symposium, Segue, and Liszt 2000: The Great Hungarian and European Master at the Threshold of the 21st Century, published by the Hungarian Liszt Society in honor of the millennial anniversary of the state of Hungary.